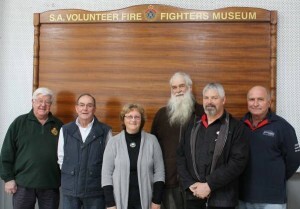 Sponsors | SA Volunteer Fire Fighters Museum Inc.
SA Volunteer Fire Fighters Museum Inc. The SA Volunteer Firefighting Museum Inc. recognises the efforts and contributions individuals and Businesses. On Saturday 10th November 2018, the day of the AGM, our Federal Government recognised the importance of a museum for educating the public about our Fire-Fighting History with a funding grant. The Member for Barker, Tony Pasin, presented the team with a cheque for $160,000.